"As long as the spirit of man is not free from intolerance, mistrust and fear, all of which born of ignorance, Humanity will never live in peace ". for these reasons, since 1984 my religious duties have been carried out, through sacred songs, under the banner of a fight for peace and a meeting of cultures. June 1984, with my first concert and the founding of my “Ensemble de la Paix” [Orchestra for Peace], made up of musicians from different religions, cultures and races, we started out on a long journey: to sing religious music so that there is peace for all mankind and so that people think together about how to make the most of their humanity, Armed only by my Faith and my Voice, I started this undertaking first of all in my duties as a religious teacher in Lebanon, then by creating the “Institut de chant sacré” [the Sacred Music Institute], founded in 1994 to promote this music and its Eastern and Western traditions, with a spiritual, cultural and humanitarian goal. 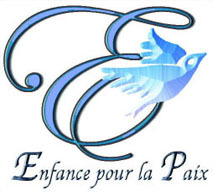 The organisation “Enfance pour la Paix” [Children for Peace] was born out of the same commitment, in the same feeling and the same spirit (…).